March 31, 2015 marks the 20th anniversary of the death of Tejano music star Selena Quintanilla. I remember the day as a young girl when my father came into my room to tell me that Selena was killed. She was my favorite singer, and as a young Latina girl who also sings, an incredible inspiration. She meant that a girl like me could make it; that a girl that spoke broken Spanish, had a big booty and massive, loud family was OK. Although her life was cut tragically short at the age of 23, Selena and her music continue to live on today. She has inspired some of the biggest pop stars today including Beyoncé, Shakira, and Mariah Carey, who have counted her as one of their favorite artists for her incredible voice and artistry. 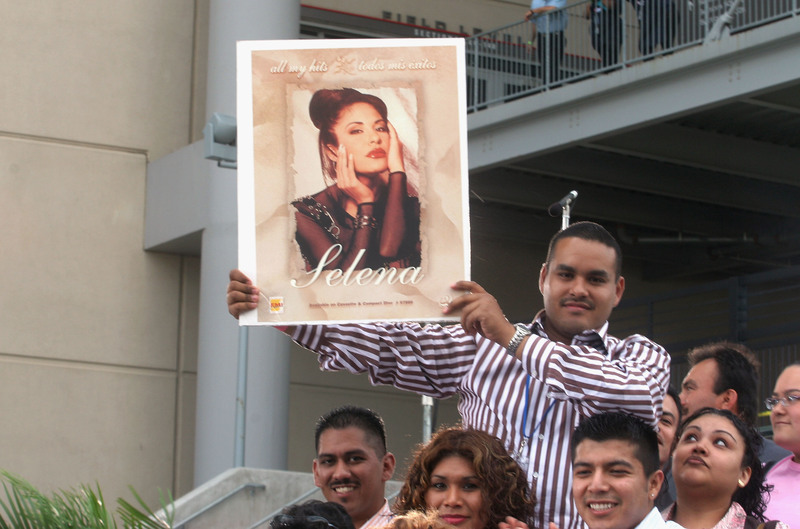 And in case you didn't make the connection yet, one of my faves Selena Gomez was named after La Reina because her parents were huge fans while growing up in Texas! Although she was just beginning her English music crossover (even though she was a native English speaker) when she died, her music still speaks to people from all over the world. To celebrate Selena 20 years after the tragic day, I wanted to share some of my favorite performances from the singer, so we can all celebrate her beautiful life in the way she deserves. This is how you do a live vocal, everyone. That opening note is iconic and she pulls it off flawlessly during every live performance. The most somber fact of this video is that this was only a few weeks before her death and she was young, vibrant, and about to start an exciting new part of her career. The dance moves, the leggings, the everything. As if her body wasn't envy inducing already, look at that bustier and high-waisted pant combo! It's so perfectly '90s.